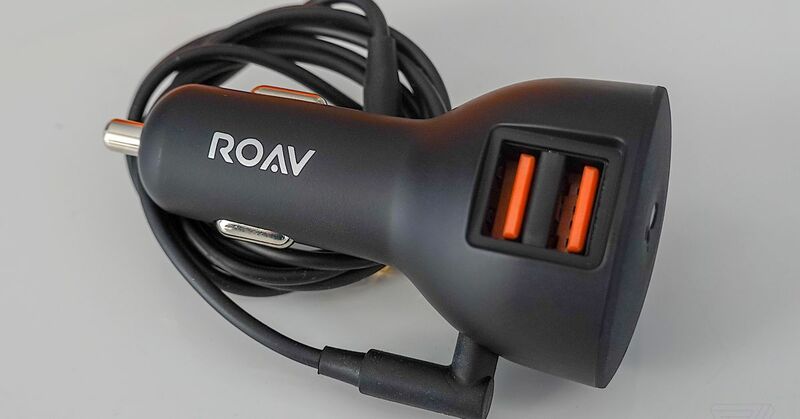 The Roav Bolt by Anker is a weird little product. It's a car charger with two USB ports that fits into a lighter plug. It's also sort of like a tiny little Google Home Mini, complete with two microphones specially tuned to cancel out echo and noise in a car. It even has the traditional 4 LED lights you see on top of the Home Mini when it's active. It's available today at Best Buy for $ 49.99. 1; albeit a little expensive. Once it's plugged in and set up (though the Google Assistant, of course), you can just say "Hey Google" and it will light up and listen to your commands – it gets an internet connection from your phone. It works with Android phones mainly, but there's a beta for iPhone users too. It works well, but is it worth $ 49.99? For sound, Google recommends using the aux input – there's one on the Bolt and a 3.5 mm-to-3.5 mm cable included in the box. When you do that, the Bolt really does work just like a Google Home in your car. It can do all the usual stuff a Home can do – or maybe more specifically, all the stuff the Google Assistant can do on your phone. If you ask for directions, it'll automatically open up Google Maps on your phone and start the navigation. It can read out notifications as they come in, too, though Google tells me it tries to be smart about not overloading you. If your friend is war-texting you updates, it will read the first one but then just make little dinging sounds for the rest until you ask to hear them. You can reply to messages, too. I can see why Google recommends using the aux jack for audio. 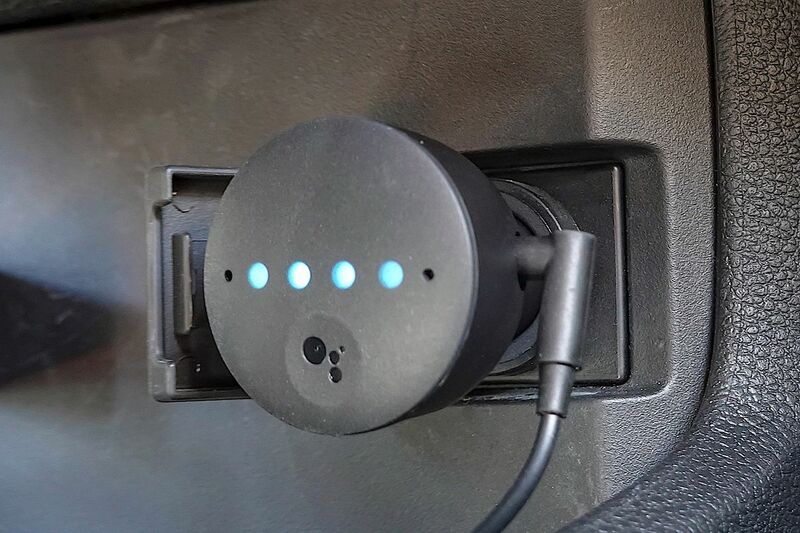 You can also use your phone's Bluetooth connection to route audio to your car's stereo. Doing so introduces a little delay between saying "Hey Google" and the Bolt quieting audio so it can hear your response. I was impressed with how well the Bolt was able to hear the wake word. Even with music blasting, I did not have to yell to get it to hear me. If you're deep enough in the Google ecosystem to be interested in this thing, you're probably aware that, well, this thing is not strictly necessary. Your phone likely already supports "Hey Google" hotword detection and you can just run Android Auto directly on your phone. Fair point, and one that I agree with. What the Bolt gives you is a slightly simpler, better setup. It has a direct aux line to your car, which could be huge if your stereo does not support Bluetooth. It also has better speech recognition than your phone, especially when music is playing. Is that worth $ 49.99? For most people, I doubt it. but it worked well in my testing and did exactly what it purports to do: make using the Google Assistant slightly more convenient in your car. It's not as nice as Android Auto, but it's something. It'll be at Best Buy stores, on Walmart's website, and hit other retail stores like Target soon.